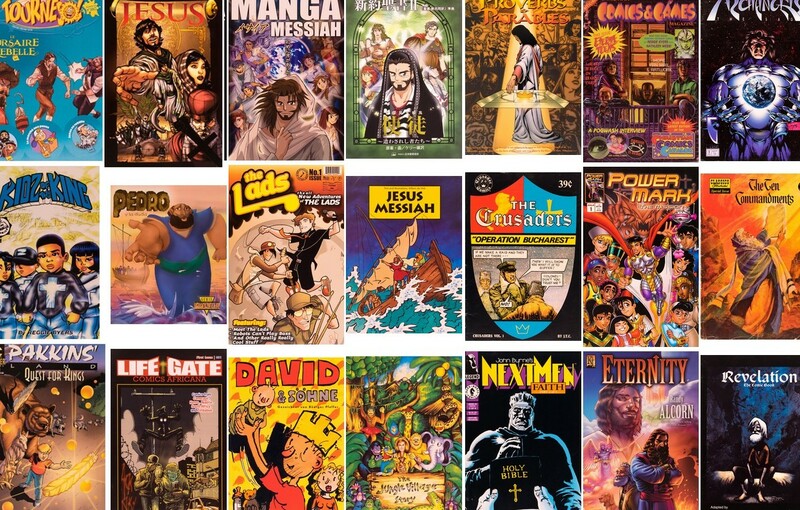 Today the Biola University Library announced the opening of its Christian Comics Collection, an archive of comic books housed as a special collection in the university library’s archives. The announcement was made at the second annual Alpha-Omega Con held at Redeemer Church in La Mirada (I’ve been to a lot of conferences, but this is the only one with published cosplay guidelines). 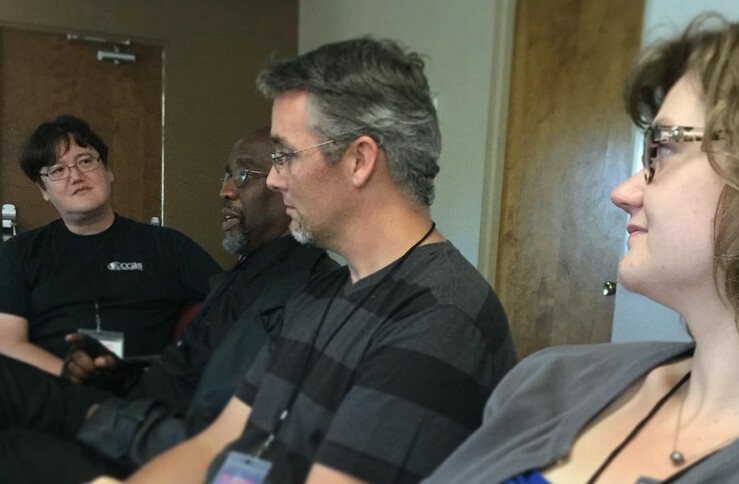 I was on the panel to discuss the announcement, along with Chuck Koontz (head of Biola Library’s Archvies team), Stacie Schmidt (Reference and Instruction Librarian), Kevin Yong (New Creation Comics), and Ralph Miley (Christian Comic Arts Society). Gregg Geary, the dean of the Biola Library, was also in attendance. The collection has begun with a bang: Biola has acquired the collection of the late Don Ensign, and is in the process of receiving major holdings from Comix35 via Nate Butler. Each of these collections has its own distinctive strengths, and together they are something to behold. If you’re reading this and thinking, “gosh, I didn’t know Christian comics was a thing,” well, now you know. It’s true that they’ve often been marginalized, off-market, micro-published, poorly distributed, and so on: that’s why a library-based special collection is exciting. The comics landing on the archive shelves at Biola have never been together in one place before, and the raw materials for the story of Christian comics has never been assembled until now. If you’re reading this and thinking, “gosh, I didn’t know an actual university library was collecting these things. I wonder if they’d be interested in the collection I’ve got,” well, maybe. As the library catalogs and develops this collection, they’ll be identifying gaps in their holdings and considering strategic directions for future acquisitions. And by all means, if you know people with very important or very obscure hoardings in this fascinating micro-field, or people trying to carry out research in fields related to this, please spread the word to them: Biola’s library has the world’s greatest collection of Christian comic books. Related: My feeble 2009 attempt to list the top 5 Christian comics.